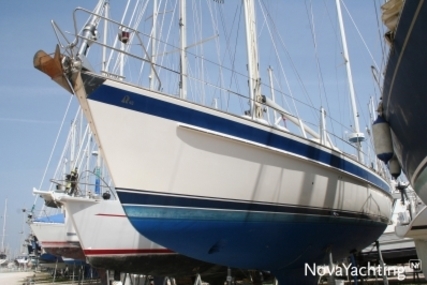 Hallberg-Rassy is the number one brand most sailors dream of and it provides you the dream yacht within your reach. 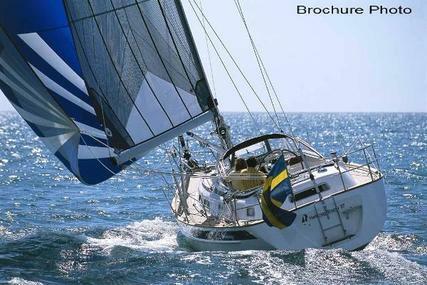 A Swedish shipyard is internationally known for producing blue water sailing yachts. The company's yard is located in Ellös on the island of Orust, Västra Götaland. Harry Hallberg founded his yard in 1943 and in 1965 Christoph Rassy founded a yard, in premises vacated by Hallberg. 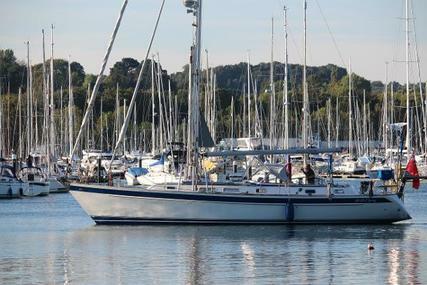 Hallberg-Rassy was formed when Rassy purchased the Hallberg yard after Harry Halberg's retirement in the year 1972. From 1988 onwards, all designs have been produced by the Argentinian engineer and yacht designer Germán Frers. The company is currently owned by the Rassy family and is managed by Magnus Rassy. 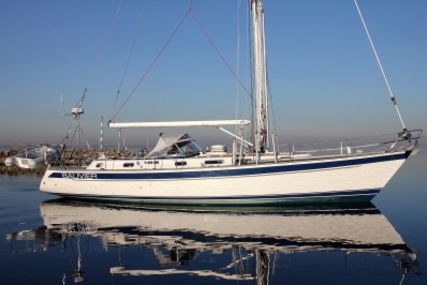 Hallberg-Rassy yachts are synonymous with comfort combined with ease of handling, powerful and tough construction, well-protected cockpit, beautiful woodwork and a powerful engine with big tankage. The lines of the Hallberg-Rassy progress and advance with the years but are still immediately recognizable. A Hallberg-Rassy never goes out of style and no matter if it is a new boat, or a pre-owned version, instantly recognisable. Known far across the world for sturdy construction, excellent craftsmanship, and signature seaworthiness, the ease to handle Germán Frers designed models are globally respected for their stylish and sophisticated lines and passionate performance. Success kept following over the years with expert yacht designer German Frers’s designs achieving great acclaim and Hallberg-Rassy attaining heights among the famous yacht manufacturers. 9,400 Hallberg-Rassy yachts are sailing the seas as of today; the epitome of the brand's heritage to stay faithful to their concept of producing powerful and sturdy craft with beautiful designs. 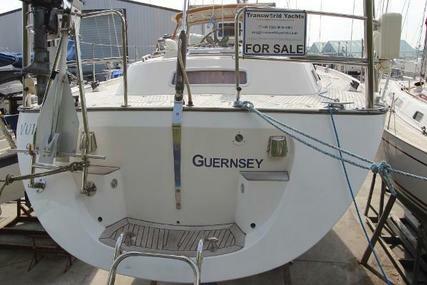 Buy a Hallberg-Rassy on Rightboat, search from 1000’s of yachts for sale on www.rightboat.com. 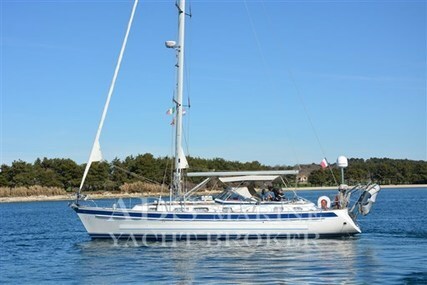 If you already own a pre-owned Hallberg-Rassy yacht, you can sell your boat online through www.rightboat.com. 1. Who is the founder of Hallberg-Rassy and when was it founded? 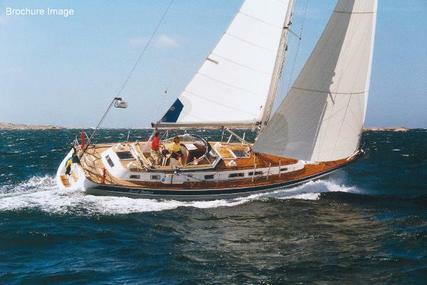 Hallberg-Rassy was founded by Harry Hallberg and Cristoph Rassy in the year 1943. 2. Where is the headquarters of Hallberg-Rassy boats located? The Hallberg-Rassy boats headquarters is in Orust, Västra Götaland County, Sweden. 3. Who owns the Hallberg-Rassy company? The builder Rassy family owns the Hallberg-Rassy company. 4. What are the special features of Hallberg-Rassy Aft Cockpit boats? 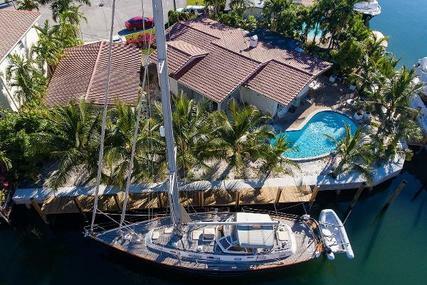 The Hallberg-Rassy 310 is the dream yacht within reach of many sailors that is very easy to handle and to sail with her contemporary hull lines and modern sailplan. The cockpit is generous and over 2.35 m long and the interior is bright and unusually roomy for her size. 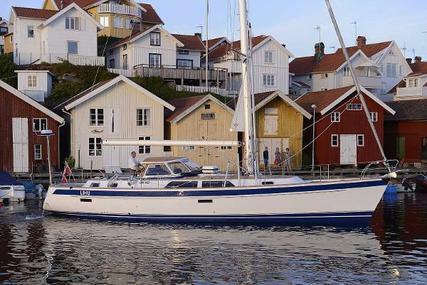 Although Hallberg-Rassy 310 is a true cruiser, it has shown her good sailing performance by winning the World's largest inshore race, Tjörn Runt, among 68 boats. 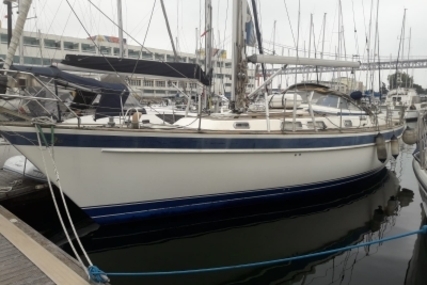 The Hallberg-Rassy 340 was premiered in August 2017 and has raised the bar within her class, a level no-one previously thought was possible for a boat of this size. It provides fast, easy and comfortable sailing and also delivers the best Hallberg-Rassy stands for with the latest in design from Frers with higher comfort and performance. The boat has an elegantly integrated bowsprit with many features and has been nominated to the European Yacht of the Year 2019, in the category "Family cruiser". The Hallberg-Rassy 372 is the winner of the European Yacht of the year, optimised for comfort and fast family cruising taking you anywhere, anytime. The yacht embraces graceful elegance with a modern sailplan that is easy to handle. 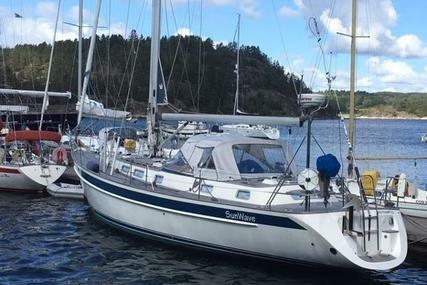 In the comparison test between 8 modern 37 footer in Norwegian yachting magazine Seilas, the test winner was the Hallberg-Rassy 372. 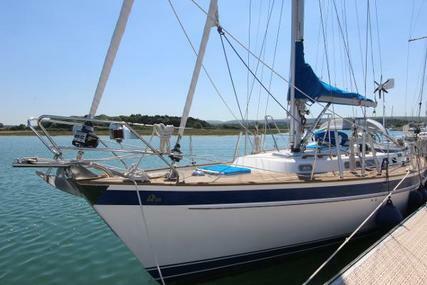 It is quick, stiff, easy to steer in all conditions, moves gently in the water, always under control and sails like a dream. It is a comfortable cruiser that never lacks in performance. The 412 is the largest aft cockpit craft the company has built to date combining both speed and comfort. In one of the largest inshore races in the world, Tjörn Runt, the Hallberg-Rassy 412, is a comfortable cruising boat, not only won her class among 48 boats but was even first to finish in her class. The result was the fastest boat in class, both on calculated and on actual time. While others talk the talk, Hallberg-Rassy 412 walks the walk proving that a comfortable cruising boat can win the most demanding race. 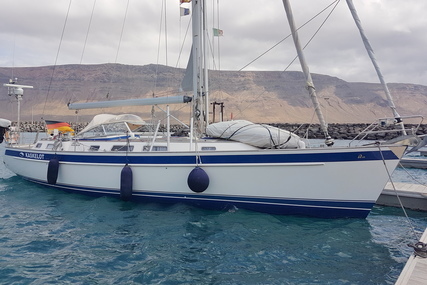 The magazine Sailing Today from the UK writes: "The Hallberg-Rassy 412 is one of the yard's quicker models, but still retains the excellent build quality and craftsmanship of this well-respected marque of bluewater cruisers." 5. What are the special features of Hallberg-Rassy Center Cockpit boats? 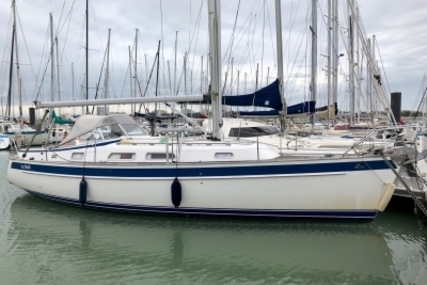 The elegant 40 Mark II is the successor of the 48 Mk II, 55 and 64 with more natural light, elegance and an improved contemporary interior offering great comfort and storage for long distance sailing. It consists of the famous Hallberg-Rassy Armchairs in the saloon and also has a separate shower with plexiglass doors. The new 44 was launched in the year 2016 and was an instant commercial success. 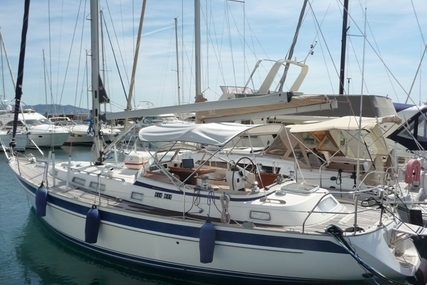 It is a fast and comfortable cruiser spiced with contemporary improvements. Its twin rudder configuration gives it an optimum control in different conditions and the reduced load on each rudder improves the security of the system. 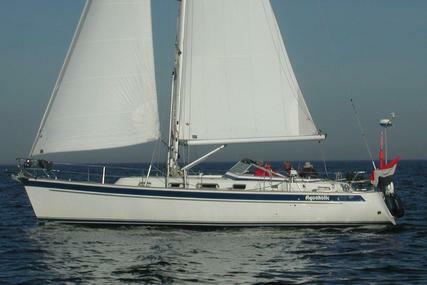 The Hallberg-Rassy 44 is one among the best HR ever made. 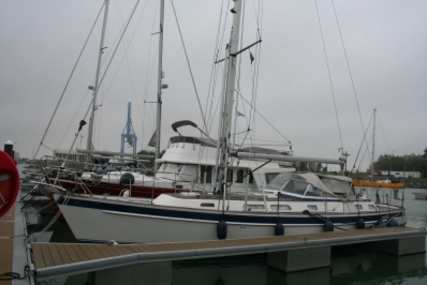 It is combined with good building and seaworthiness of previous boats. 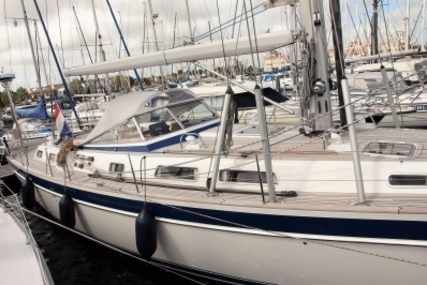 "The Hallberg-Rassy 48 is the new measure for Blue Water Cruisers". The 57, launched in August 2018 is the latest and the most impressive cruising boat that delivers the very best of the Hallberg-Rassy concept in performance, handling, storage, living space combined with the latest design from Frers. 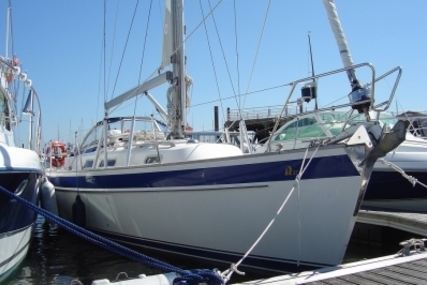 You experience the fastest, easiest and enjoyable sailing at a new level with spacious accommodation on the 57. The yacht is designed for an effortless sailing and has twin rudders that let you control the boat easily during different sailing conditions, especially in rough weather. 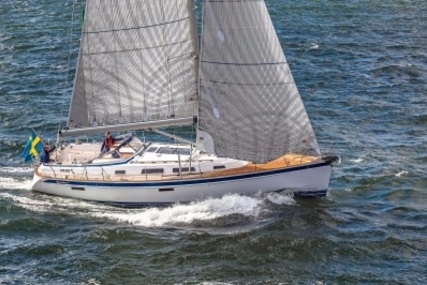 The Hallberg-Rassy 57 has been nominated for the title European Yacht of the Year 2019 in the category "Luxury Cruiser". The flagship 64 is the greatest boat ever built by Hallberg-Rassy which is undoubtedly a true legend in the making. 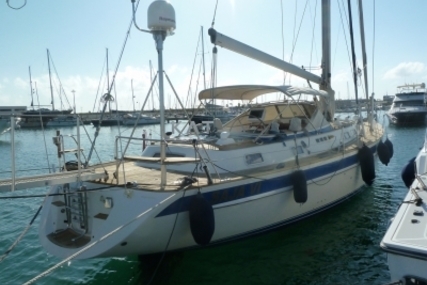 A blue water cruiser for the yachting connoisseurs and a classic with modern designs which can be easily managed by a family crew. The deck is neat and squeaky clean, and all skylights and hatches are flush mounted with an unusually large cockpit. The walk-in engine room is well sound insulated and allows easy maintenance. It is a role model blue water yacht and a real mile eater.